Four wheels move the body; two wheels move the soul. 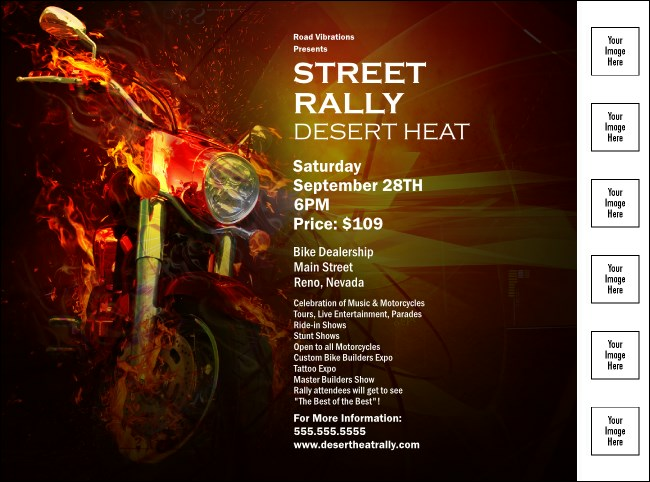 Create some soul for your event with this stirring Motorcycle Flyer, with a blazing hot image. Promote motorcycle rallies, auctions, raffles and more with this flyer template and its six custom image uploads, which allow to promote your sponsors. Never settle for less than the best. Find custom Flyers at TicketPrinting.com.